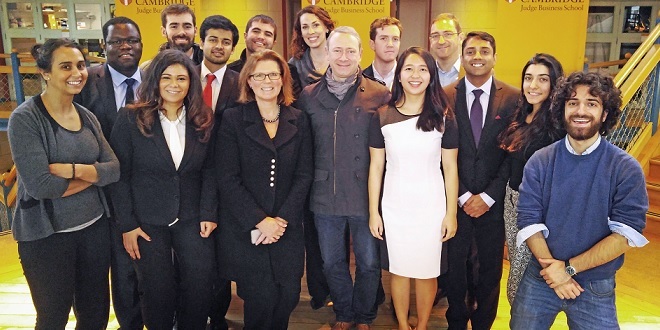 In the last two months or so, my Cambridge Venture Project (CVP) group, consisting of Lana Bazzy, Lucy Lan, Sunga Lungu, Akshat Mathur and I, were fortunate enough to work with Founders4Schools, where we worked directly with them to resolve key research questions they are currently facing in their business. 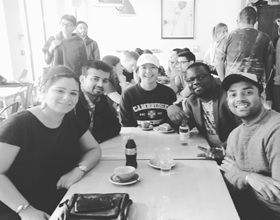 Founders4Schools is a social enterprise based in London with a mission to improve employability of students by connecting them to local business leaders. They intend to achieve this mission by providing a work experience placement service available on whatever platform is convenient to the student, most notably a mobile device. What are the main factors to be considered in adopting a pricing strategy for the enterprise? How do these factors impact the overall sustainability of providing free mobile education services to students? To answer these questions, we identified and modelled the main factors that drove the pricing strategy of the Founders4Schools operating model. In addition, we analysed the effect that each of these factors had on the viability of the free mobile education platform. Our ultimate goal was to assist Founders4Schools create an optimal structure to conduct strategic planning exercises and in seeking corporate partnerships. Our deliverable at the end of the project was a business model that Founders4School could use, which we developed through validation from surveys, primary interviews and continuous iteration with the client on a weekly basis. The entire experience in concluding our CVP amalgamated in a presentation for the entire team at Founders4Schools on 7 December 2016. We presented our analysis, recommendations and walked the client through our model. It was of great validation that the outcome was one of satisfaction to Founders4Schools. The entire CVP experience taught us how to apply the knowledge we had learned in class to a real business case and work as a team of diverse individual towards a common goal. I value the time I have spent with my group and the mentorship we received from our client as great lessons for me to apply in the future.